PREPARING curlers for the 2022 Olympics has become a family affair in Lockerbie. For Nancy Smith, nee Murdoch, has been announced as overseeing the mixed doubles programme for the Beijing Olympiad 2022 and joins her brother David in honing the talent over the next four years. 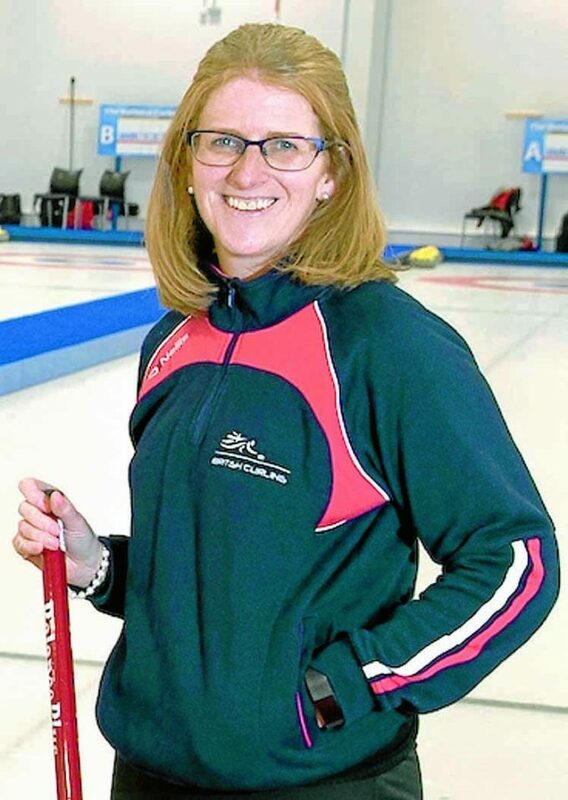 The British Curling performance coach has been instrumental in the success of the careers of many Scottish curlers since she joined the British Curling programme almost a decade ago. She was the Olympic women‘s coach in Vancouver 2010 and, as well as working with the women’s programme, has also worked with men’s curling, having started out working with junior players. Following the mixed doubles discipline’s introduction for the first time in PyeongChang earlier this year, Smith is delighted to be involved in another area of the programme and what represents a new era for the game. Most of her life has involved curling – her mother Marion Murdoch received an MBE for her work developing the sport, her brother David won silver at the 2014 Sochi Olympics and was last month announced as British Curling’s national coach and her late father Matt was president of the Royal Caledonian Curling Club. Nancy said: “It must be in the blood. It is special to have a sibling on the programme, Dave and I bounce ideas off each other and talk a lot about where we want to take the game.